Getting a part-time job is a battle. Hunting part-time work is full of bear traps. It’s easy to Google “part time jobs near me.” But then you’ll face a flood of work-from-home scams. There are also awful part-time jobs with bad pay and horrendous work conditions. Even if you dodge those, you can toss a hundred resumes in the online black hole—and then hear crickets. Buck up. It’s not hard to find a part-time job you love. You just need to know what’s out there, then do a few things right. How to find “jobs near me part time” in a few days. Expert tips to find real part-time online jobs or jobs with people, fast. How to get a part time job when all your applications get ignored. A note about the hourly pay rates in this article: they come from sites like Payscale and Glassdoor. They’re medians, so half the jobs pay less and half pay more. Mary just hit the jackpot. We’ve got 107+ great part time jobs in this article. To get hired, scroll through and pick the 10 you like best. Pay special attention to pay and skills required. Most of these jobs hiring part-time pay $10 to $20 an hour. Some pay $30 to $60. Plug your 10 job titles into a job search site like Indeed.com. It’ll kick back hundreds of online job postings. Apply, but don’t stop there. Walk in. Visit the companies in person and say a friendly hello. Not every job is in the online job postings, and those that aren’t are the easiest to get. Looking for part-time office jobs? Walk into offices and ask. Hunting part-time retail work? Fill out in-person job applications at Costco or L.L. Bean. Pro Tip: Even a Facebook post like, “I’m looking for jobs near me part time” can be a worldshaker. 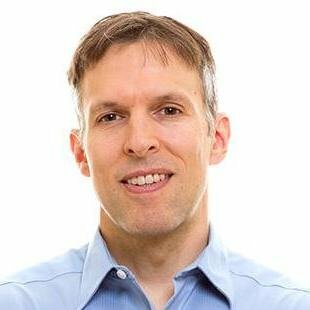 I recently interviewed a pro who got a six-figure job by networking. Apply online for part time online jobs like tech positions, tutoring, or typing jobs. Just make sure to customize your resume. That’s right, you do need a resume for a part-time job. Learn how to write one now: How to Write a Resume for a Job of Your Dreams. Let’s meet a hiring manager. Her name is Sally. She’s hiring for several high-paying online part time jobs. She really needs good people like you. But she has a hard time finding them. You just need to find her. Make a short-list of five part-time online job titles that catch your eye. Customize your resume to fit each one you apply to. The jobs in the list below aren’t always part-time. That depends on the company. Not trying to find jobs online? Keep scrolling. You’ll find dozens of great part time work positions with co-workers in section #3. You can find great part-time online jobs teaching and helping teachers. See our tutor resume guide here. If your fingers fly across those keys, people need you. Try these four high-paying online part time jobs. See our data entry resume guide here. The details make the world go round. Here are two part time online jobs if you love digging. See our research assistant resume guide here. Got good phone skills? You can turn them into $12–$27 an hour. You’ll find remote jobs for most of these positions. They also fit the “good part time openings near me” search. See our help desk resume guide here. There are more and more marketing jobs part time online. Software-as-a-Service (SaaS) continues to explode. Here’s a sampling, but get to know some marketing types and talk to them about their part-time needs. See our graphic designer resume and marketing resume guides here. The computer science jobs below increasingly make logical part time IT jobs. Can’t find one online? There’s plenty of opportunity to work these high-paying jobs in person too. See our IT resume guide here and click through to specific examples from there. One day you’ll be a famous novelist. For now, try these part-time writing jobs. Pro Tip: Beware MLM jobs (Multi-Level Marketing). They sound great, but most are ponzi schemes set up in a way that will never make you make any actual money. Don’t fall for such pyramid schemes... Yuck! Here are 78 of the best part time jobs to crank your social life up to 11. Those same four walls can drive you bonkers. But it’s funny how a little useful work and chatting can change your world. The list of part-time work below is anything but solitary. Pick the 5–10 you like best. Type them in the Indeed.com search box. Tailor your resume to fit each one you apply to. Got teaching creds? Don’t have them? Local schools hide a ton of great part time jobs for SAHMs and other job seekers. Substitute Teacher. High schools really, really need subs. These jobs often pay $100/day. See our substitute teacher resume guide. If you want to get out and around other people in a water cooler setting, look for part time work in local offices. Small businesses need clerical help and can’t always shell out for full-time help. See our administrative assistant resume guide and click-through to specific guides from there. If you enjoy working with children, try the part-time positions in this mini-list. See our nanny resume guide. When you think about retail part time jobs, do you picture toiling in an H&M down at the mall? Don’t discount Costco. They pay well and give benefits like health insurance and 401Ks even to part-time workers. See our retail resume guide. If you’ve got a driver’s license or a CDL, you can find part-time work behind the wheel. Check out the shortlist of options below. See our truck driver resume guide. Like working with money? Look for these jobs hiring part time in banks and businesses. Bank Teller. If you’re trustworthy, good with people, and you can learn to run a drawer, you can make $12/hr. See our bank teller resume and bookkeeper resume guides. Want to move that body and help others do the same? These make good part time weekend jobs or evening work. See our personal trainer resume guide. Pro Tip: Beware of work from home scams! They often sound too good to be true, then demand you pay up front for uniforms or other fees. Use a trusted job search site that screens its postings, like Indeed.com. Restaurants, catering businesses, sandwich shop, hotels—they all have part-time work available. Search the job titles below online. Restaurant Host. Meet, greet, seat, and make $10/hr. Hotel Front Door Greeter. These jobs often go to the distinguished and presentable. $10/hr. Bus Person. Clean the tables up and carry the dishes and cutlery out back. $10/hr. Bellhop. I did this for years and loved it. Tons of laughs and exercise and mega tips. Especially fun at ski mountains and resorts. $20/hr. Porter. If you can carry bags and keep things neat and clean, you can get part time work as a porter. $11/hr. Spa Worker. Check hotels and day spas to see if they need help handing out towels in spas or poolside. $10/hr. Valet. Parking cars and running back from is actually pretty fun. $15/hr. Banquet Staff. Your sword and armor in these part-time and weekend jobs is tongs, pats of butter, and trays of water glasses. $11/hr. See our hospitality resume guides. You probably have more manufacturing businesses around you than you think. Drive around local industrial parks, walk in, and ask if they’ve got part-time work. Since most people apply online, you’ll stand out like a $100 bill dropped in the parking lot. Warehouse Worker. Warehouses need all kinds of part-timers for busy times. Pickers, packers, stockers, runners, truck unloaders, and more. $18/hr. Material Handler. Factories make things from lots of little parts. Someone has to move all those around. $18/hr. See our warehouse resume guide. Security Guard. Sit in a car and watch a backhoe and two piles of dirt. It ain’t glamorous, but it pays $12/hr. Private Investigator. No, you won’t be helping damsels beat a murder rap. You’ll probably take sneaky video of some “disabled” guy lifting refrigerators. $15/hr. See our security guard resume guide. Wherever people need things done, there’s part-time work. Sometimes that’s in people's’ homes or at construction sites. Handyman. If you’re handy and you’ve got your own tools, you can make up to $60/hr. If I was hunting jobs near me part-time, this is the one I’d pick. Get clients by word-of-mouth. That means working cheap at first and doing a great job. See our construction resume guide. See our nurse assistant resume guide. Are there any part time jobs near me in sales? Yes! Try the ones below. They may require travel but they can turn into full-time gigs. See our sales rep resume guide. Puppies, kitties, who doesn’t love ‘em? Here are three soft and fuzzy part time jobs. Dog Walker / Pet Sitter. Get part-time work with lots of exercise by hanging out a shingle. Or sign up at Rover.com. $20/hr for walking, $20/day for sitting. If they don’t look good, you don’t look good. If you’ve got the skills, get part time work in the beauty field. Add tips to the hourly rates below. Hair Stylist. Cut, trim, style. Make hair look great and make $10/hr + tips. Need still more jobs hiring part time? Here are a few more to help your search. Library Assistant. Do clerical tasks around the library for $13/hr. Pro Tip: “I don’t have the skills for any of these.” That’s so common! You can train for most of these part time jobs in a month or two. Take an online class or talk to an employer who’ll train you while you work. You’ve got to put yourself out there if you want the greenbacks. How can I actually land the best part time jobs near me? Now you’ve got 107+ ideas for great part time jobs that you can actually do. But how can you get one of these jobs? It seems like such an impossible chore. But it’s like Creighton Abrams said—How do you eat an elephant? One bite at a time. There are two ways to find a part time job. The first is to use job search engines like Indeed.com. You’ll find zillions of openings that way but you might hear crickets after you apply. The second way? Use your feet and walk in. More on that in a minute. First let’s look at search engines. Indeed. It’s got the most job listings, and they’re up-to-date and verified. It’s also really good at knowing what you’re looking for. You can even type in “part time jobs” and it’ll serve up millions of results. Glassdoor. Not only does this site have a pile of openings, it also shows good salary data. Pro Tip: You don’t need to type in “best part time jobs near me” with any of these job search sites. They all know where you live! Creepy, but useful when you’re hunting work. Now you know how to find part jobs. But how to get gigs? The search engines work great for finding jobs, but not as well for getting them. So—apply online, but then walk in and say hi. Nothing beats an in-person visit. If they tell you to apply online, say you did, but you wanted to drop by in person. You’ll stand out like you went swimming in that stuff they put in glow sticks. How Long is a Part Time Job? Part-time jobs can last indefinitely, though they’re technically 35 hours a week or less. One-time jobs or gig jobs may last an hour or two, but you can string them together for full-time work. Gig work includes work for Uber, Turo, Justpark, TaskRabbit, and other gig job companies. Part-time work is basically any kind of work you do for no more than 34 hours per week: voluntarily or not. There are various reasons for going part-time, but the most common include: childcare, personal or family obligations, health limitations, and schooling. Pro Tip: Looking for a second job? The combination resume format uses the best achievements from your main job to get you hired. You bet there are. Here’s a quick recap of how to get the best part time jobs. Use the list of 107+ jobs hiring part time in this guide. Write down the 10 job titles you like best. Then plug them into job search websites like Indeed.com. Go in person to stand out from the masses. Also walk into business that don’t list job openings online. You’ll be the only one filling out job applications. 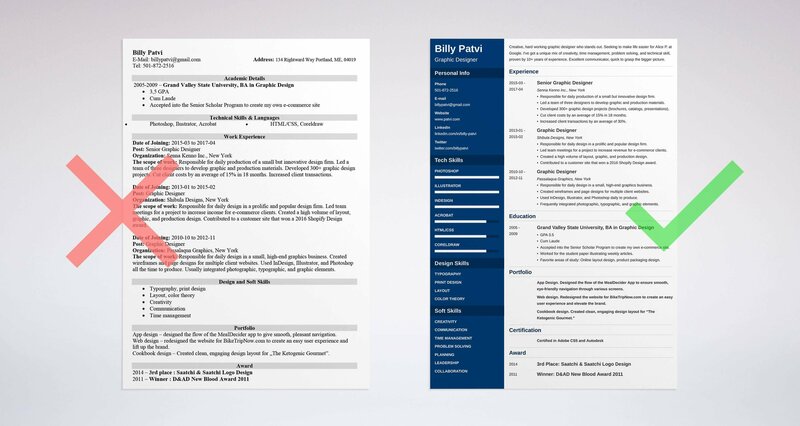 Customize your resume to fit the job like it was sprayed on. Tailored resumes get more interview requests. Do you have questions on how to find the best part-time jobs? Not sure how to list your skills and achievements on a resume? Give us a shout in the comments! We’d be happy to reply. 30 jobs for teens you can apply for today. See lists of the best teen jobs, including online jobs for teens and summer jobs for teens. Even better? You’ll learn a quick trick to unlock teen jobs on powerful job search sites to serve up real openings near you in seconds. Get that first job and start cashing real paychecks now! Want jobs for people with disabilities? Get lists of jobs for disabled people + job sites, federal government jobs, and part time disability jobs near you. Want jobs for seniors to earn cash or work part-time? Want flexible hours, less responsibility, or want to work from home? See these jobs for senior citizens.